Paris, creator of major brands! 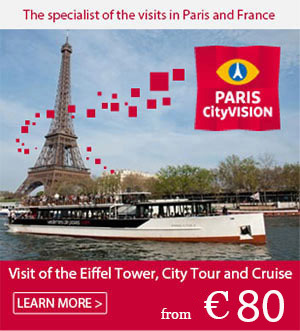 Paris is a global city where an impressive number of major brands have originated. From haute couture to cosmetics to communication, there have been many successes! World leader in the cosmetics industry, L’Oréal is part of the Paris heritage. The “Because I’m Worth It” brand was created in 1909, in Rue d’Alger, under the French Company of harmless hair dyes under the impetus of Eugène Schueller. It was the first product, L’Auréale, for the halo shape, developed by the chemical engineer, which several years later gave the brand its current name. The multinational company now operates in various industries such as chemicals, insurance, advertising, health, and design. The Chanel company was created in 1910 by the milliner Coco Chanel. The first store opened at 21 Rue Cambon, under the name Chanel Modes. Coco Chanel was then backed financially by her companion Boy Capel, before going it alone to expand her business throughout the twentieth century. Today, this company is known on five continents for its haute couture, but also for its accessories, ready-to-wear clothes and fragrances. Advertising icons reflect its glory: Kate Moss, Laetitia Casta, Blake Lively, etc. Louis Vuitton, a modest resident from Jura, decided to leave his provincial town to walk to the French capital. This baggage maker opened his first store in 1854, in Rue Neuve-Capucine, close to Place Vendôme. He sold his first trunks by capitalising on the development of rail transport and travel. Ranked by Forbes as the seventeenth most influential brand in the world, Louis Vuitton offers luxury leather goods and ready-to-wear clothes. Between 2006 and 2012, the luxury brand was considered the most valuable. Less well known, the Havas company is nevertheless one of the industry giants of global advertising. Its story starts in 1832, under the leadership of Charles-Louis Havas, at 4, Rue Jean-Jacques Rousseau at the Hôtel Bullion. This former banker became a translator and journalist, and simply created the concept of the global press agency. It was later copied by Reuters and Associated Press.